“Lockheed Martin … has been awarded a $485,000,000 firm fixed price with minimal cost-plus-fixed-fee, indefinite-delivery/indefinite-quantity contract. Contractor [Lockheed] will provide multiple Sniper advanced targeting pods,” the US DoD said in an official statement, released on Friday.. The building of the Sniper pods will be performed at a Lockheed Martin facility in Orlando, Florida. Development is expected to be completed by March, 2018, the DoD release said. 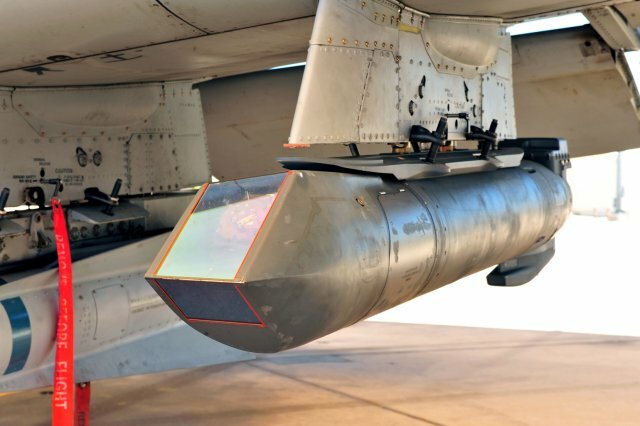 Lockheed also won an $8.9 million contract to provide ten Sniper targeting pods to the Royal Jordanian Air Force by the end of 2016, according to the DoD. Lockheed Martin's Sniper is an electro-optical targeting system in a single, lightweight pod that is compatible with the latest precision-guided weapons for detecting, identifying and engaging multiple moving and fixed targets in air-to-air and air-to-ground engagements. In addition to fulfilling strike mission requirements, Sniper is changing the way armed forces operate in theater to meet the challenges of nontraditional intelligence, surveillance and reconnaissance (NTISR). With capabilities including long-range target detection and identification and continuous stabilized surveillance, Sniper enables aircrews to find and destroy targets outside of jet noise ranges. Sniper's two way video datalink for communicating with forward-deployed forces, superior imagery, and weaponquality coordinates allow pilots to make rapid targeting decisions.